Comedy Central has announced that it will air its first live stand-up special later this year, something it’s hard to imagine that the 24-year-old network has never done before. (When Comedy Central was starting out in the early ’90s, it felt like the pre-recorded Stand-Up Stand-Up, The A-List and Two Drink Minimum made up the 80 percent of programming that wasn’t Mystery Science Theater 3000.) Comedy Central mainstay and Late Show With David Letterman regular Brian Regan will be performing in the live special, which will be recorded at Radio City Music Hall in New York City. Regan has already taped two specials for Comedy Central—Brian Regan Standing Up in 2007 and The Epitome Of Hyperbole in 2008—and was recently seen in Chris Rock’s Top Five. 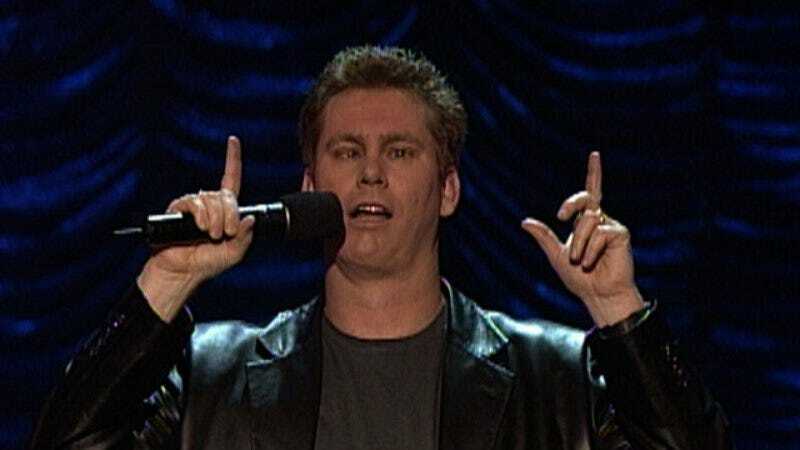 Brian Regan: Live will air live at 9 PM EST on September 26th.